Strategic Partnerships (SP) are a big part of our business. A strategic partnership is where you combine efforts, resources to the mutual benefit of each party. If you could drive at least 7% of your traffic through negotiated partnerships that involved list sharing and pixel swapping would you do it? Of course you would! We did and were able to accomplish this without having to spend any money. Another way of looking at it is that we were able to increase our revenue by about $2 million without having to invest any additional capital. 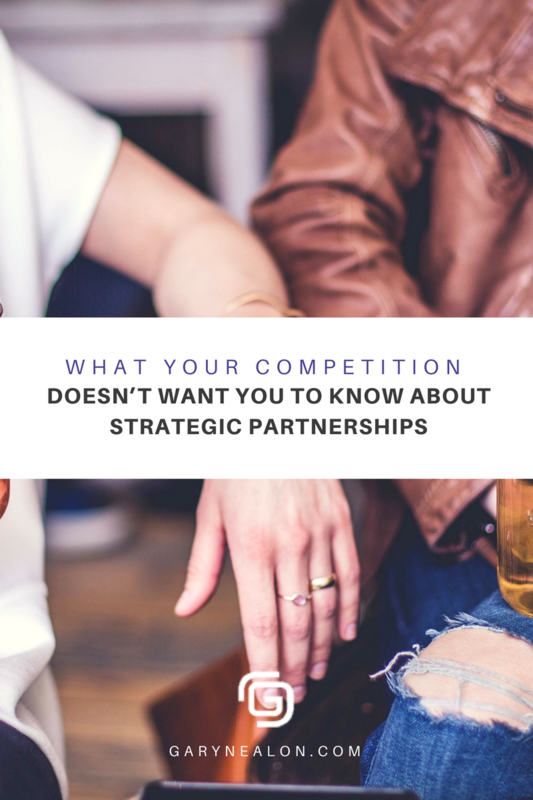 Strategic Partnerships have been around for a long time, and many people are taking advantage of strategic partnerships and don’t even realize that they are doing it. If you have your business card in a card holder of another business, then you are partaking in a strategic partnership. 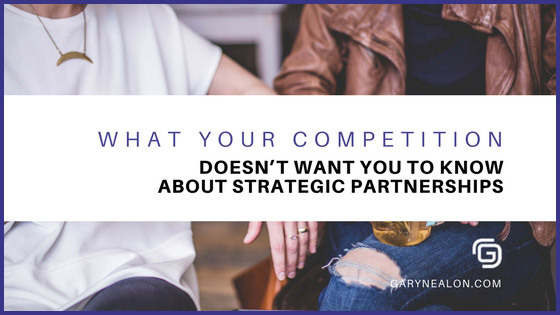 If you can form a strategic partnership at this level, then you are ready to begin utilizing strategic partnerships at another level. As a business owner you are busy, so before you start putting your efforts and energy into a strategy, you want to have a valid reason to invest into it and know that there will be a positive return on investment. For us, Strategic Partnerships are our secret weapon. Rather than do what the masses are doing which is spending their budget on expensive traffic and leads we are targeting customers without spending anything, and in some cases, we are acquiring their attention and loyalty before they are even ready to buy. 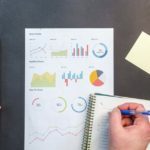 Although the decision is up to you and your team, below are ten reasons and explanations as to why you should implement this strategy immediately into your marketing plan. Competition: You’re competitive otherwise you wouldn’t be an entrepreneur. So is your competition and they are studying, researching and executing every possible way to gain a strategic edge over you. They are actively seeking ways to get your potential customers or in some cases current customers to disavow their loyalty to you and go with them. Additional source of advertising: When you form a strategic partnership you are not limiting yourself to just your advertising and marketing efforts. You are tapping into the resources and data of your partner as well. This can include their website, Facebook Page, blog, presence in their physical showroom or retail store, brochures, email campaigns, etc. The potential channels you utilize will only be limited by what resources the two of your have and to what extent you agree to share them. Expand your market reach: You probably already know who your ideal customer is and where the majority of you business is coming from. When you form a strategic partnership, you are expanding your borders. Even though you have penetrated your market there are still outliers out there for whatever reason have not been made aware of your brand or have not engaged. Diversify: You are in the Yellow Pages, you have put forth and effort on all the popular social media platforms and are seeing success. With a strategic partnership, you will be able to diversify even more and create another funnel to gain market share. Lower your ad spend: By forming a SP, you will save money on your marketing costs. 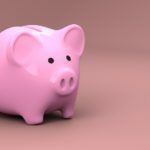 The portion of the revenue derived from your SP can be allocated to increasing your other marketing strategies or simply added to the bottom line. Regardless of where you put the additional revenue the cost to obtain it is not monetary. 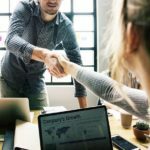 Easy to establish: These partnerships can be formed with a simple handshake. Once trust is established, and both parties can see the mutual benefit of what the possibilities are then you can formulate a simple agreement that sets boundaries, exclusivity, and other terms. You as the originator will be the one who has the role of explaining what the roles are to the other party. If done properly you will avoid complications during the origination, set up, execution and ongoing activities. Increase your list size: Depending on who you partner with and what you decide to share you could significantly increase the size of your list if done properly. Although you always want to have a streamlined list that is consistently being scrubbed and re-targeted and segmented. The more eyes you have on your offers, the better the chance of you obtaining a customer. Leveraging someone else’s influence: When you partner with a well respected or established business and their customers see that you are in a way endorsed by a company they are loyal to they are naturally going to believe that you are credible and worthy of further investigation. This type of lead may take longer to foster, but when that customer has need of your product or service, you will be towards the top of their list because of your relationship and connection to a business they already trust and know. Free traffic: This can come in many forms. If your partnerships a product you may be able to have each one of you include a brochure of your products within the shipment of the order and visa versa. Free traffic can also include having banner ads for each other on your websites or blogs. You may also even agree to have a landing page on each other’s sites labeled recommended partners. Other opportunities: As your relationship grows and develops you will start to see tangible results of the partnership. You will also see other areas where you can utilize the resources of each company. 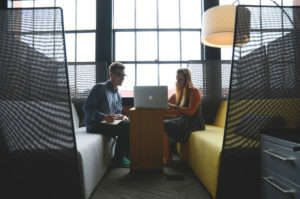 For example, the combined knowledge of yourself and your partner may lead to more streamlined distribution, additional sourcing vendors, other marketing techniques and strategies that you have not implemented. The next step in the process is to select one or more partners to work with. This is sales 101. Your mission is to find complementary companies that you are not in direct competition with that you can approach to partner with. In the following paragraphs, we will take you step by step on how to easily approach a potential customer without being salesy or come across as a threat to them. As with any partnership, you will need to establish trust and then show them the benefit of partnering and finally engineer an agreement to begin executing. When looking for a company to work with you want to look for a complementary company, not one that you compete with. For example, if you are a swimming pool contractor you would not look at other swimming pool installers form partnerships with. You would look at patio furniture companies, swimming pool supply companies, landscape architecture, and possibly nurseries. Your ideal customer should be similar to the perfect customer of the companies you form partnerships with. One easy, simple exercise to perform is to look at pictures of your product in action. And look at what is surrounding the product If we look at the swimming pool contractor let’s see what is in the picture that was supplied by another company. If you examine the picture, you can see several other suppliers played a role in putting this together. Such as deck builders, plumbers, tile suppliers, patio furniture, landscaping and nursery and even though we can’t see it, outdoor lighting. Imagine if you were able to target each and every one of your complementary supplier’s email list or if you were able to place a banner ad on their site. How much would that widen your reach? Now that you have made a list of the types of companies to contact, the next step is to look at your marketplace. Are you strictly local, regional, statewide, national or international. Once you have a list of potential company’s, you are ready to proceed to the next step. 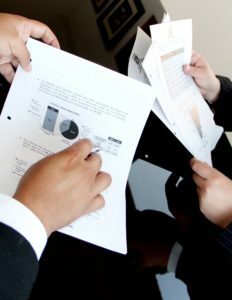 Once you have determined that you are now ready to contacting the owners of these complementary companies, the important thing to remember is not to approach this with a “salesman mentality.” You are not going in to close a deal; you are going in to make an offer that will add value to their business with no downside to either party. It is also vital that you don’t go into the conversation as a know-it-all. The main thing to remember is that you want to approach and work with the major influencer or decision maker of the company. After you have completed your due diligence on the company determine what you can offer them that would have an enormous impact on their business. Once this is finished create a compelling proposal that has little or no downside and would be virtually impossible to say no to. The benefit of the proposal you present should when executed have a significant impact on their business. The ideal approach would be from someone that you know already or was referred to by a friend or fellow business colleague. Do some research on the owner. You do not want to just flippantly contact an owner just because his company offers a complementary product or service. Below are some ideas on where to research the company. Ask business associates who they know at the company and what they know about them. Review their website and look for professionalism, design, content, presentation, etc. Is this the type of site you would buy from? Or by partnering with them can you add value to their site. Review the LinkedIn profiles of the owner and employees. Look at what they have on various social media platforms – Facebook, Instagram, Pinterest, etc. Once you have done the research ask yourself if this is someone that you can have a comfortable working relationship with. In other words, you want to work with a business owner that you can pick up the phone and contact the owner without being redirected or forced to leave a message (they take your calls, and you probably have their cell number, and their gatekeeper knows to put you through). Once you connect with them, they are not going to complain, accuse or make things difficult for you. Remember what you are offering is to be mutually beneficial for both parties with little or no effort by either party. At this point, you have already established a time and place to meet. Your initial conversation is going to be educating them on how they can benefit from this partnership. First, you want to establish rapport and get to know them on a bit of a more personable level. Your business instincts will kick in, and you will know when to start sharing specific ideas and strategies with them. If you don’t eventually they will say, “Let’s see what you’ve got”…you know the drill you have said this yourself on more than one occasion. This is your opportunity to show them what’s in it for them. Below are the points you will want to make sure that you cover with them. 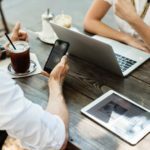 It is important to remember that as you converse with the owner, you don’t assume that he knows everything you do about internet marketing and partnerships. On the other side of the coin don’t try to out savvy him because he has some knowledge as well. Remember this is designed to benefit both of you. The owner may initially be open to one or more of the ideas you present, so be prepared to move forward with whatever they agree to. Little or no start up cost: As a business owner they are always going to be concerned with the expenses. The great thing about a SP is that you are essentially trading lists and utilizing internet real estate to expose your respective businesses to a wider audience. If this is not your first attempt, have some examples or testimonials of previous strategic partnerships. You do the majority of the setup work: Since this is your idea, you will have the responsibility to educate either the owner or their marketing person on how to setup a email campaign, banner ad, etc. This partnership is to mutually beneficial with little or no work needed. You will want to present in a way that shows them that this will all eventually become automated. Not one-sided or affiliate: Make it perfectly clear to them that you are in no way expecting any sort of monetary compensation for any business they receive from your resources and you will not be giving them any funds in exchange for business you receive. 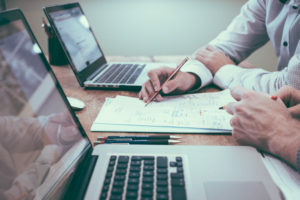 Now that a mutually beneficial agreement has been made to work together, you must select what strategies to implement that utilize the resources and assets of each company. As you begin to work together, you may start out with only a few of the mentioned strategies and work your way up to implementing more as your relationship and the effectiveness the strategies evolves. Email list swap: The extent of this could vary for each partnership. A good approach is to be clear on what you will be sending the audience, or you could agree to send something to your audience on their behalf to customers or potential customers with links to their website or promotion. Banner ads: You can both agree to have a banner add on each other’s website. If you are deck builder, you can offer a small banner ad for a patio furniture supplier or other complimentary company. Guest blog posting: This can be an article that you currently have in place that you edit to be directed to their audience. For example, if you are a landscaping and design company you can post an article in pool builders blog on how to enhance the appearance of your pool with proper landscaping. Social media promotions: You and your new partner can mutually agree to post each other’s content on social media platforms. If you regularly have a blog posting, you would agree to post it on the various sites or post it on your blog with a blurb on how this information can assist during the buying process. Direct mail promotions and product delivery: If you have a newsletter that you email or mail you can agree to place a brochure with your newsletter or add a link to your partner’s website or landing page. Also for every order that you send out, you can place a flyer in the packaging promoting a special offer. Retargeting customers: Once a sale is made a special campaign can be setup to send specific offers and promotions to each customer that could add value to their recent purchase. Trade Show Space: If either one of you attends a trade show you can agree to add some signage to promote the other party or other literature that trade show traffic can obtain. The possibilities for utilizing assets and resources is limitless, as your relationship grows you will both come up with additional ideas that will mutually benefit both parties. One last technique that requires some further explanation that has proven to be effective is called Pixel Swapping for retargeting. 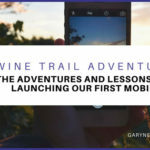 This strategy is relatively new and is not being used by the majority of businesses in the marketplace but is a hot topic amongst savvy digital marketers. In a strategic partnership when a user goes to either your site or that of your partner a cookie is dropped. Then once the user leaves one of the sites and goes to another if there is ad space available on another site a bid is placed in that space and if your bid wins the ad space will be obtained, and your ad or your partners will be placed on that site. All of this happens in the amount of time it takes the page to load. The ad then appears alongside the content of that page. Cart Abandoners – This is when someone goes to the sales cart and decides not to make a purchase or pursue the call to action. Target Specific Pages – If a visitor is serious about making a buying decision they will typically visit more than one page within your site, you can set up to target those that visit multiple pages within your site. 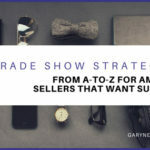 Buyers – In a strategic partnership with a complementary company, this may prove to be the most effective since you know you have a buyer and they may also be in the market for your product or service as well. We would suggest that you implement your own retargeting campaign for 60 days or so before suggesting this with a potential partner so that you can show them that this type of strategy is a feasible way to obtain additional traffic. The reason why a Strategic Partnership will work is based on basic human psychology. As you read through the four reasons I have provided, you will probably see a little bit of yourself in the explanations, which gives you all the more reason to take advantage of this strategy. Most business owner’s mindset is to acquire either cheap or free traffic and leads. Because of this, they are not thinking outside the box, so a strategic partnership is not even on their radar. Your offer of a strategic partnership may be the answer they are looking for. If you meet someone with an Entrepreneurial mindset, they are naturally intrigued by the opportunity to expand their reach, obtain more customers and drive more revenue. You just need to make sure that you are adding value to their business. Most business owners are not aware of how to structure this type of partnership. In addition to that, they are too engrossed with their other day to day obligations to actively take the time to learn this strategy and pursue it. Business owners are business owners because they want freedom. If there is a way to obtain more revenue with little or no effort easily, they are going to be all for it. Because you are the one proposing this partnership you have some leverage because you will initially come across as the authority. Utilize this time of the relationship to emphasize how it will benefit your partner and his brand. As your partner begins to see your integrity and experiences results, the door for more opportunities with your partner and other complementary businesses that your partner knows will take place….this Strategic Partnership then truly becomes a Win-Win situation for all parties involved.